Entrances at all sight seeing spots,Cameras Fee. Meeting on arrival and transfer to the Hotel. Kindly advise us flight details. Overnight stay at Hotel. 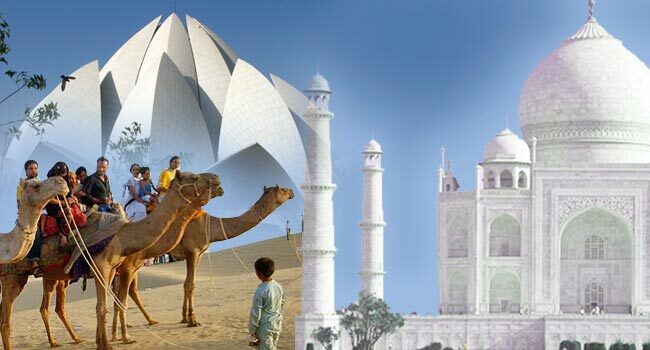 Morning sightseeing tour of Old Delhi and New Delhi. Visit Jama Mosque, Red Fort from outside, Rajghat – Mahtma Gandhi’s cremation place, drive past through India Gate, President House, Rajpath, Government buildings. Overnight stay at Hotel. Day 3: Delhi – Agra : By Surface 205 Kms. 5 Hrs. In the morning drive to Agra, on arrival check-in at Hotel. 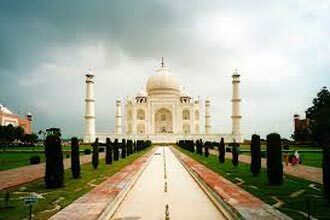 After lunch sightseeing tour of Agra city. 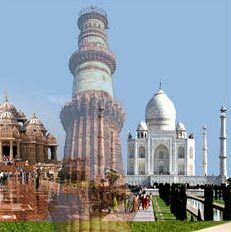 Visit Taj Mahal and Agra Fort. 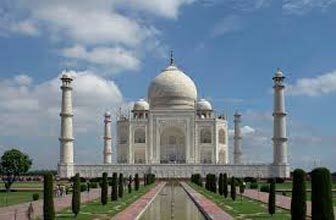 Agra - is better known for Taj Mahal, the mausoleum of the Emperor Shah Jehan's beloved Queen Mumtaz Mahal, which was built in 1631. It took 22 years, 20,000 laborers and the best talents on the world to give shape to this monument of matchless beauty that enshrines her memory. After visiting Taj visit Agra fort. Overnight stay at Hotel. Day 4: Agra – Jaipur : By Surface 237 Kms. 5 Hrs. Morning drive to Jaipur en route visiting Fatehpur Sikri, the former capital of Mughal ruler Akbar which was abandoned due to lack of water after only few years of occupation. Within the fort are few interesting palaces. Later drive down to Agra - "City of Taj Mahal". Overnight at the hotel. Morning excursion to Amber Fort At Amber Fort you climb up the fort on Elephant's back like the Maharajas and visit the Amber Palace of the Kuchchawa rulers. 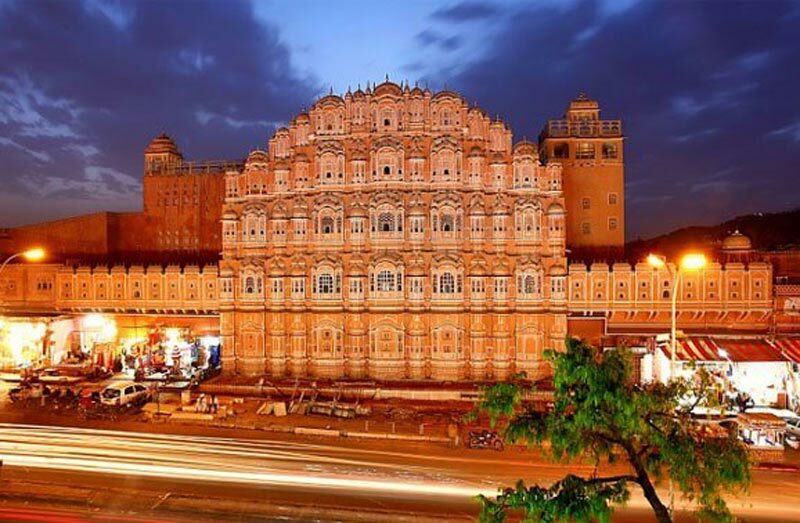 Following the tour of Jaipur city includes Photo stop at Hawa Mahal: the palace of winds, Jantar Mantar: the observatory on stone and the City Palace Museum which contains the original collection of the Maharajas of Jaipur. Overnight stay at Hotel. Day 6: Jaipur – Bombay : Flight At 0830/1015 Hrs. In the morning flight to Mumbai, meeting on arrival and transfer to the Hotel. Afternoon sightseeing tour of Mumbai city. Mumbai formerly known as Bombay is the commercial center of India. A city is highly visited for its entrepreneurs, concrete towers, historical significance, clubs, discos, cricket, Bollywood and more.. Visit Gateway of India, Prince of Wales Museum, hanging garden, Jain Temple, jain temple, dhobi ghat. Overnight stay at Hotel. Morning an excursion to Elephanta caves. Later in the afternoon transfer to the Airport to board the flight for Aurangabad, meeting on arrival and transfer to the Hotel. Overnight stay at Hotel. Full day excursion to Ellora and Ajanta caves. Ajanta caves: Nestling in an inner fold of the Sahyardi hills, 100 km from Aurangabad in the shape of a mammoth horse- shoe, are the 30 rock-hewn caves of Ajanta. The Caves date from the 2nd century BC. Discovered in 1819 by a group of British army officers, these startling achievements took around 600 years to create. Carved with little more than a hammer and chisel, Ajanta. In time transfer to the Airport to board the flight for Bombay, on arrival connect the flight for onwards destination. Please note mentioned fare are dynamic fare and keep changing on daily basis, fare may change at the time of booking. Our aforementioned quoted prices are based on room + mentioned meals basis.